What is emotional healing all about ? Most people have suffered some form of trauma during their life walk, for some of us it is recent trauma and or illness and also it could have been when you were younger. You may also feel that you know deep down that something has happened to you in a past life that is keeping you stuck in some way. The good news is that things can be done about it so you can move forward in life and your relationships. These patterns can lie in your subconscious (hidden mind) and keep showing up. Such as if you had a car accident when you were younger and you are still affected by it. Or that you are scared to let real love in for the fear of being hurt again. 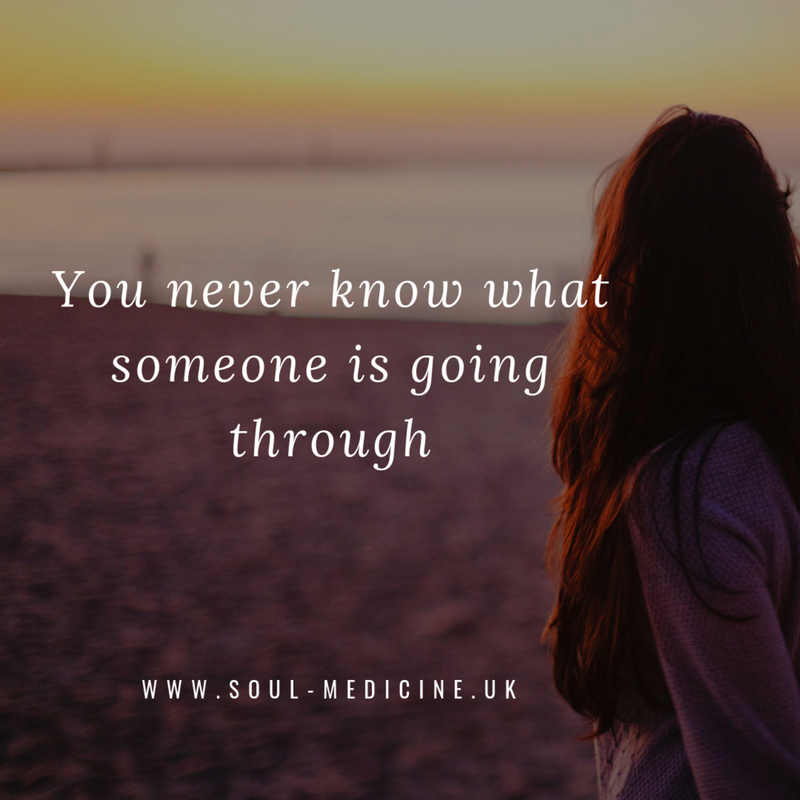 This was me, I instinctively knew deep down that something had happened to me in a past life as was so affected by things I heard that had happened to others …. I used to tell one of my best friends about some of the insights I had and I am sure she thought I was crazy at the time as we were both much younger (we were in our early twenties). It massively affected my relationship with men, love and intimacy. At the time, we were unaware of what past lives issues, spiritual contracts and other spiritual truths. I knew it hadn’t happened in this life and wanted to be freed from the negative thoughts and feelings I had. There are many things that can help you if this blog relates to you as powerful therapies such as Shamanic Healing and Hypnotherapy can greatly help. I was very drawn to Shamanic Healing a long time ago whilst vising Machu Picchu in Peru and ended up training in it. It was obviously meant to be as what you are drawn to it is usually the perfect tonic that you need yourself. After receiving Shamanic Healing numerous times by others and by myself, I have removed many of the blocks that kept me from having true and loving relationships. Huge shifts happened for me and I have also seen this with many client’s too which ever modality of healing they opt for. Healing can work as a spiritual and emotional anesthesia hence reducing the emotional pain helping us move on in life. This then aids in helping us to get rid of addictions, self sabotage, break repeated negative patterns and assisting in breaking eliminating toxic relations from our life. We carry these memories in our cells, our DNA and affect us in so many ways that we are unaware of – stopping us from being truly happy and moving on from the past. Thoughts and feelings stick in our memories it is best they are cleared. Karuna, Shamanic Healing, Hypnotherapy work wonders when inner child issues are being healed, especially people who have suffered from some kind of abuse, illness, trauma or deep unhappiness when they were younger. It greatly helps in releasing the issues of shame and unworthiness from the subconscious mind and also the suppressed traumatic memories. If these memories and feelings are not gently released then they can manifest as actual physical illness in the body and there is so much scientific research to prove this. You just had to read some of Louise Hay’s exceptional work to fully comprehend this as well as many other people who have healed from very traumatic experiences. They always say “time is a healer” and this is true to some extent but why not help yourself along the way and work on a deeper level so that you are free. So many people have said to me … “Wow you have taken away the pain and the grief” other’s can’t believe that some of anger and bitterness that they were holding onto has been released. Even the strongest people are holding onto some wounds (hidden or unhidden). The beauty of healing is that the clients I work with don’t have to re-live any painful memories by talking about the experience over and over. All they have to do is lie on the couch and listen to relaxing music while I carry out the powerful energy work, seamlessly releasing the emotions. Having said that, if any of my clients feel they want to talk about their experiences then I am able to help in that way too. It is all relevant and as a client they are in full control at every point. During a session, I work with beautiful energies allowing a wonderful vibrancy to take place within and around you. It is a beautifully relaxing experience and the inner peace feeling carries on working well afterwards. Can be used for illness, trauma and abuse issues (past life issues too). Please note that healing works on many other issues, I just wanted this blog to be about the past so that more people can be educated and aware of what is available to them. Please do not hesitate to speak to me if you have any queries at all in relation to what I have written about. I am very kind, honest and approachable and I totally understand that some of what I write about may be a new concept to some of my readers. It was to me years ago until I started seeing more and more proof about things that were being healed. If anyone came to see me they wouldn’t even have to tell me what they were there for as I work intuitively and the healing will be sent to where it needs to go. That’s what I love so much about it as most of the time people don’t want to talk about some of their deepest darkest fears or emotions. I adore my job as I see huge results on a daily basis from my clients and have lots of experience with a number of complex issues. I also work very closely with other therapists who have also experience in specific area’s to ensure you get the best advice all round. We all want to be free from any feelings, pain and emotions and to live our lives as happy and as free as we can. Raising your vibration is something that a lot of people have heard about without really understanding what it all means. It’s not something that’s only available to so called enlightened beings and hippies - it’s an actual psychological science and is something we all feel and experience. We can all feel positive energy and health, the good news it can easily be increased. A higher vibration is associated with being aware to how your natural energy is, by being your true spiritual self. Happy, joyous, full of fun, peaceful and free from stress. It is achieved when you free your psyche from any burden that’s weighing it down. This, in turn, makes you feel more relaxed, produces positive emotions and accumulates more energy for you to use. Just think about your energy and vibration when you feel your best, it could be when your on a beach holiday or a celebration of an achievement and you just feel so relaxed happy on the inside. Well this feeling can be achieved much more often and not just when you are on holiday and so on. Here are some easy ways to increase that better feeling. Try and make them part of your daily lives and also enjoyable - life is all about having fun and feeling light on the inside. It’s infectious when you start and your love and light will spread out to others around you. The more you increase your health and vibration the more you will want to sustain it. Breathe - Spend a few minutes every day focusing on your breathe. Go outside and fill your lungs up with gorgeous fresh energy. Imagine that you are filling your whole being with beautiful universal energy. Imagine that you are bringing in love with every in breath and expelling any negativity with the out breaths. It sounds so simple, and yes it really is. Try it and see how much better you feel. The great outdoors - Go outside and walk in nature as much as you can, it really is the biggest healer. Sit outside and watch the world go by. It is extra beneficial if there is a lake, river, stream or ocean to spend your time by as water cleanses the soul without any effort. There is so much scientific evidence to back up the fact that nature on it's own heals. Food and drinks - They always say “you are what you eat” so think about what you are putting into your body. Have a look online and study high vibrational foods as they really do help in lifting your spirits and like I have said at the beginning on this blog .. this it is science and proven. Show love and compassion to yourself so that you want to put the best foods and drinks into your body. Healing - You can heal the emotions, blocks, illness and pain that may be weighing you down. Sometimes the best thing to do is have a really good cry and clear the built up emotions. We all have bad days / hard times in life and it's important not to push down these emotions. Speak to someone you know that understands you like a really good friend who you trust. They always say a problem shared is a problem halved. Hugs are massively healing too as help produce happy chemicals in the body. There are also many forms of healing that you can have such as Reiki, Shamanic Healing, Reflexology, Massage as well as the many transformational therapies that are available. They will help you to dissolve the emotions that you are holding onto that are keeping you stuck in life and zapping your joy. I am a firm believer that we should heal our minds, bodies and souls on a regular basis as we pick so many emotions up during our earth walk and experiences. Gratitude - Write a list of all the things you are grateful for and review it regularly. You could buy a small notebook and write down 3 things every day. The more we focus on the good in our lives the more the mind learns to stop focusing on the lack. If you keep focusing on the lack then you will get more f it. Detox your homes/workspace - Our lives can be so cluttered and if you feel your space needs detoxing then have a really good clear out. The junk we have around us can make us feel uninspired. Only keep what you really need and feel inspired by. A great tip is to look up feng shui as it’s fascinating. Loving yourself - The more you love yourself, the better you will feel. When you love yourself on a deeper level you can love others more in turn. Like anything else, self love is something that needs to be worked at. A great exercise you can try is the Louise Hay Mirror work - details here https://www.louisehay.com/what-is-mirror-work/. Relationships - The best way to keep your vibration high is to have supportive and loving relationships around you. We all know a moaning Mavis or a negative Norman. No matter how much we try and help them, their glass is always half empty or even completely empty. Some people are toxic and they will want to make you feel bad when you are not. If your an empath (sensitive person) you have to protect your energy and some people even when they are nice will drain every last bit of what you have to give. Doesn’t make you a bad person, you will still have buckets of compassion, it’s all about having healthy boundaries and honouring yourself. Have a look at all your relationships and figure out of things need to change whether its at work or at home. Also think about the role you may be playing out in relationships and if that is serving your highest good. It's can be easy to blame others but you have to take responsibility of how you play out too. This is something I specialise in as it's such an interesting topic to work with. Once your aware you can change the dynamics to much healthier ones. Fun - Do all the things that bring you joy and laughter. It could be dancing around your kitchen to your favourite 80’s music, singing your heart out, being creative, cooking for your favourite people, climbing a mountain, having a mini pampering session at your home, donating some of your time to help others or charities … anything that YOU LOVE doing that brings you joy. Connect with other fun people around you. You could you join some fun groups like the tuneless choir, have a look at what is around you and connect with other like minded people. Try something new. Meet up with your friends /colleagues as connecting with others helps to release the happy chemicals in your brain. Passion and purpose - Following your passion in life raises your vibration like nothing else. When you know what you are meant to do on the planet and are working with passion towards it every day, the feeling is magnetic. Is it time for you to search for your ultimate purpose and ignite that internal flame of passion? Don't let the fear hold you back. Meditation / Mindfulness - These two methods really do wonders in helping to keep your vibration high. Do them on a regular basis and I PROMISE you that you will feel better and the stresses in life will not seem as bad. Exercise - Our bodies we designed to be moved. Find an exercise that you enjoy and your body and mind will love you for it. When you exercise, your body releases clever chemicals called endorphins. These endorphins interact with the receptors in your brain to trigger a positive feeling in your mind and body which greatly helps with low moods, depression and pain. In some shamanic cultures they ask people who come for healing when was the last time they danced. When was the last time you moved your body for fun and felt like a child again? Please Note - If you are struggling in any way then please consult a medical professional such as your doctor. Grief, bereavement, depression, anxiety, mental health issues, illness and so forth need to be covered with all angles of specialist care. The suggestions I have made will help you start to recover however serious problems need extra care. This wisdom can really help you when you are going through changes and dealing with fear. A dear friend recently drew my attention to Chuck Spezzano’s book ‘One Hundred Healing Principles’ teachings and just wanted to share it with my readers as it really touched me. Willingness moves us forward in such a way that fear is healed. When we feel we are not willing, we can at least be willing to be willing and this is all that is needed for our higher mind to help. Willingness puts us into the flow once again and it helps restore bonding, for every true step forward is a true step in intimacy. Willingness opens us and allows for inspiration and answers. It shows us where to step forward. It leads to the path of truth, love, and success, now that we are open to seeing the way. All problems represent a fear of the next step and as such, willingness is a balm which treats all wounds that fester in fear. Our willingness is our openness to be taught, healed and shown the way. Willingness is at the heart of our courage for change and success. Willingness unlocks us from the dark stories we write about our lives and demonstrates happy possibilities and alternatives. The ego attempts to distract and delay us as long as possible in order to keep control. Willingness recognises there has got to be a better life than the one we are living or a better way than the situation in which we are stuck. When the ego attempts to scare us from going forward with a fear of loss, destruction or death, willingness shows it is not our loss or death, but the death of the ego that is at stake. Be willing for the next step to come to you. It will bring with it the answer, intimacy and success. In any problem, recognise it's purpose is ultimately to delay you. Be unwilling to be delayed any longer. Be willing for the truth. Be willing to let love free you and bring the next step to you. I really hope you enjoyed these teachings as much as I have. I look at them often and have been integrating them into my life for a a while now and it has greatly helped me. You are always MUCH MORE than you think you are and never forget that. Our biggest fear comes from ourselves and the gifts we have hidden and willingness really helps with this. Please have a look at some of my other blogs as they may provide some inspiration on how to help yourself more. If fear is something you are struggling with then my mentoring and courses can greatly help with this. I am always here to answer any questions you may have as I specialise in many area’s to help you with fear and getting past limiting beliefs and some of the pain that may be holding you back in life.